There's a lot taking place in the world of HR! Here's all you need to know about the latest happenings. Society for Human Resource Management (SHRM) partnered with Reliance Industries, held its 4th HR Technology Conference in Hyderabad over a 2-day period, ending on 27th April 2018. The goal was to discuss the current best practices in the HR industry, the growth and what the future has in store. Hunting for talent is a real task. 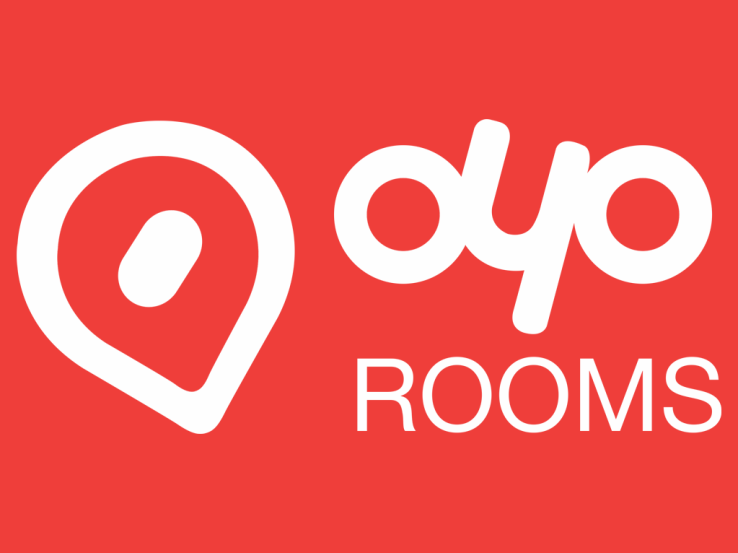 But online hotel aggregator, Oyo Rooms, found a loophole and utilized it by sending senior and mid-level employees at rival companies, FabHotels and Treebo Hotels, unsolicited job offers. This tactic for mass recruitment by poaching from competition, was all in vain as not a single offer was accepted. Frustrated with hearing sales calls everyday? Well, you might be the one making them in 3 years. Regulatory reforms such as the consolidation of 44 central labor laws into four labor codes, could be the cause behind the creation of one crore sales jobs in India, in the next three years, as per a report by TeamLease Services. Talent surplus in India by 2030: Study by Korn Ferry International Inc.
"Last night, (they) reached a final agreement and it was decided that Flipkart will be sold to America's Walmart," said SoftBank CEO Masayoshi Son. The hot topic of this month, Walmart’s acquisition of Flipkart. Walmart is likely to have roughly a 60 to 70 per cent stake, while Sachin Bansal quits Flipkart and plans to sell his entire 5.5 % stake for $1 billion. His co- founder, Binny Bansal plans on staying with the company. 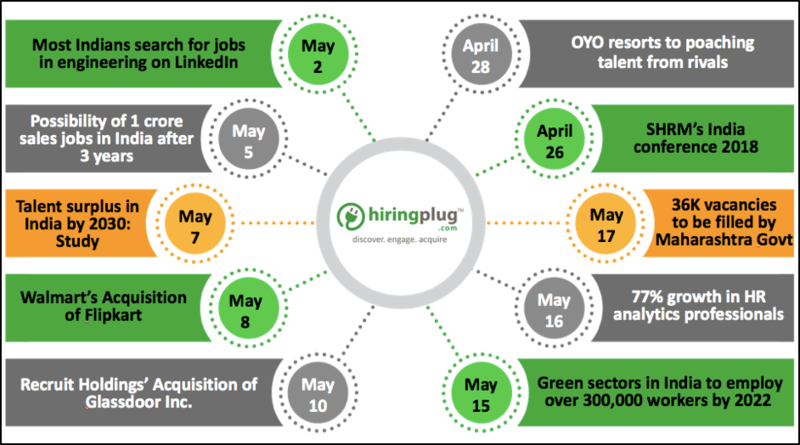 Recruit Holdings’ Acquisition of Glassdoor Inc.
Job search website, Glassdoor Inc. (popular for it’s employee review feature) has been acquired by Japanese-based HR giant, Recruit Holdings in a $1.2 billion deal. In a world where competition is so intense, acquisitions are inevitable. But Glassdoor Inc. will continue to function as a separate entity with Recruit Holdings being its parent company. Over 300,000 workers will be employed in the solar and wind energy sectors in India to meet the country's target of generating 175 gigawatts of electricity from renewable sources by 2022, the International Labor Organization (ILO) has estimated in a report. The recent report by LinkedIn, “The Rise of Analytics in HR: An era of Talent Intelligence” shows that in India, 14 percent of total HR jobs are analytics based. This has been the instigator of the rise of HR analytics professionals in India. In the past five years, there has been a 77 percent increase in specialized analytics professionals in HR in India. 36000 vacancies in various departments to be filled by Maharashtra Govt. In line with the promise made by CM, Devendra Fadnavis, the move aims to overhaul the government machinery in the rural areas while ensuring that the government schemes for the welfare of farmers are implemented. As problems were being caused due to the vacancies with respect to implementation, the government has amped up its efforts on filling these posts.